Andhra Pradesh has 25 Lok Sabha seats and 175 Assembly berths. 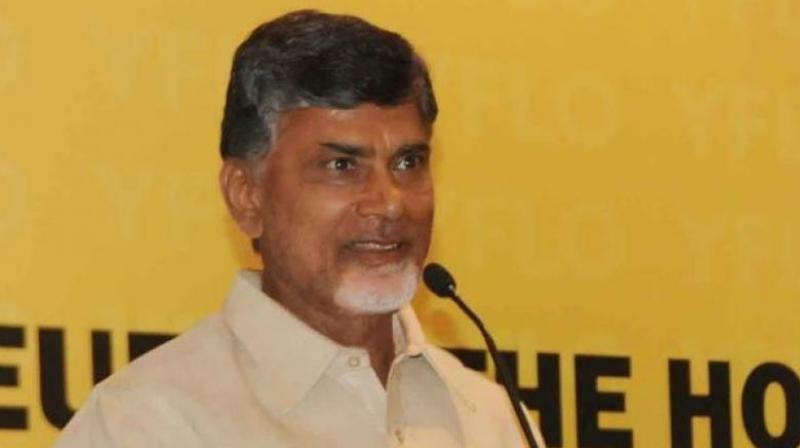 New Delhi: With Jagan Mohan Reddy’s political stock rising, the Telugu Desam Party is now banking on a three-cornered fight between the Congress, TDP and YSR Congress to win a majority of seats in Andhra Pradesh in the coming Lok Sabha and Assembly elections. Top TDP sources told this newspaper that the party calculates that the YSR Congress and the Congress Party have the same voter base, and thus the parent party might chip away some of Jagan Mohan’s votes and help the N. Chandrababu Naidu-led TDP deflect anti-incumbency. Incidentally, the TDP and the Congress fought the recent Assembly polls in neighbouring Telangana in an alliance — the “Mahakootami” — and the results were disastrous for both parties. Officially, though, the TDP chief told this newspaper he feels while people are “appreciating” a Congress-TDP alliance at the national level, they have “misgivings” on it at the state level, and that is why both parties have decided to fight the coming elections separately. Andhra Pradesh has 25 Lok Sabha seats and 175 Assembly berths. The TDP has 15 Lok Sabha MPs and 100 members in the Assembly. Mr Naidu went on to add that the “political reality” was that it had to be seen how people would respond now, adding it was a fact that “if they contest, they are going to get some votes”. YSR Congress chief Jagan Mohan Reddy ended his 3,648-km Praja Sankalp Yatra, which started November 6, 2017 at Idipulapaya in Kadapa district. While there are varying reports of the crowds he drew in his long walk, analysts say he might give the ruling TDP a tough fight. It might be recalled that Mr Naidu had after exiting the NDA in a huff early last year been in the thick of efforts to build an anti-Narendra Modi coalition of parties at the national level, which includes the Congress. He has also gone on record saying that the Congress should take the lead in the formation of any Opposition alliance.